It is a painful condition occurring from repeated muscle contractions at the forearm that leads to inflammation and micro tears in the tendons that attach to the lateral epicondyle. The condition is more common in sports activities such as tennis, painting, hammering, typing, gardening and playing musical instruments. Patients with tennis elbow experience elbow pain or burning that gradually worsens and a weakened grip. Your surgeon moves aside sof t tissue to view the extensor tendon and its attachment on the lateral epicondyle. 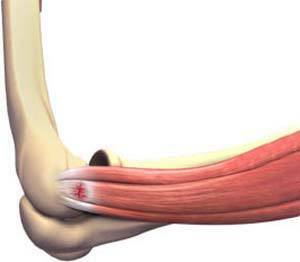 The surgeon then trims the tendon or releases the tendon and then reattaches it to the bone. Any scar tissue present will be removed as well as any bone spurs. After the surgery is completed, the incision(s) are closed by suturing or by tape.